Dear Evan Hansen tickets can be found at last! On-sale details for the award-winning musical that everybody’s been waiting for have been announced. If you’ve been waving through a window early enough and signed up for priority tickets on the official website, you’ll have been able to purchase tickets from midday on Thursday 28 February 2019. Missed the priority booking? Don’t worry; you won’t have to wait for forever, public tickets can be bought from 10am on Monday 8 April 2019. Recently the Dear Evan Hansen team held open auditions in London and Manchester, as they searched for people to play Evan Hansen, Connor Murphy, Zoe Murphy, Jared Kleinman and Alana Beck. So obviously casting is still yet to be announced! Related Article: Dear Evan Hansen is coming to London! The Tony and Grammy Award-winning show is coming to the Noël Coward Theatre in Autumn 2019. Find out more about the show we can't wait to see. Dear Evan Hansen is the story of Evan, who writes a letter that was never meant to be seen. The letter leads to a lie that gets out of hand, and before he knows it, Evan is facing a dream life he never thought he could have… fitting in at school. Both deeply personal and profoundly contemporary, Dear Evan Hansen is a new musical about life and the way we live it. 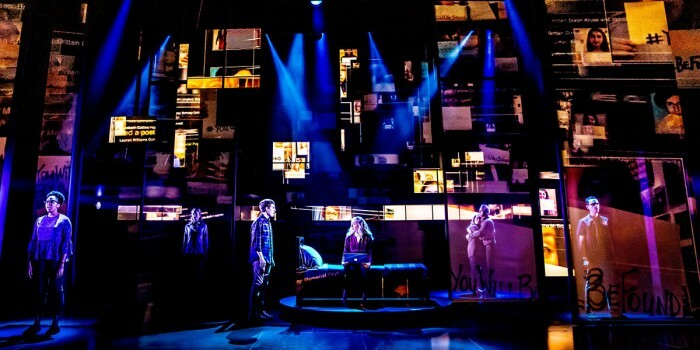 A MASSIVE success across the pond, Dear Evan Hansen has won six Tony awards (including Best Musical) as well as a Grammy award in 2018 for the Original Broadway Cast Recording. Written by Tony award-winner Steven Levenson, the score is written by the Tony, Grammy and Academy Award-winning composers of The Greatest Showman, Benj Pasek & Justin Paul. The West End production will have the same creative team as Broadway too, so we’re in for something very special! So get practising being found, breaking in gloves and that ridiculous high note in Waving Through A Window! Dear Evan Hansen will begin previews at the Noël Coward Theatre on Tuesday 29 October, with its opening night on Tuesday 19 November 2019. Dear Evan Hansen is coming to London!